Fit nail Gel: All nail gels polish. 1. 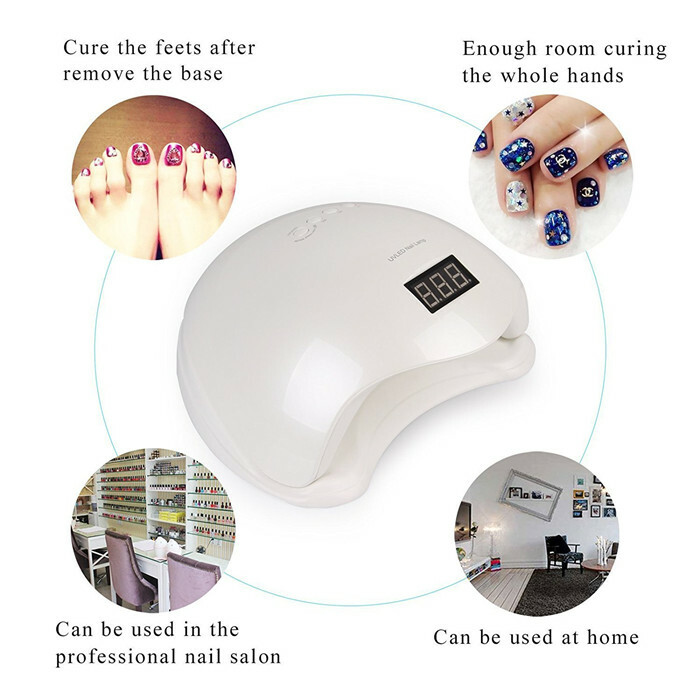 ALL-IN-ONE NAIL DRYER: This gel nail polish light with advanced professional designed UV+LED dual light source,suitable and guaranteed for drying all kinds of nail gels, including nail UV gel, nail builder gel, nail sculpture gel, rhinestone gems glue, CND Shellac, OPI and LED nail gel. 2. 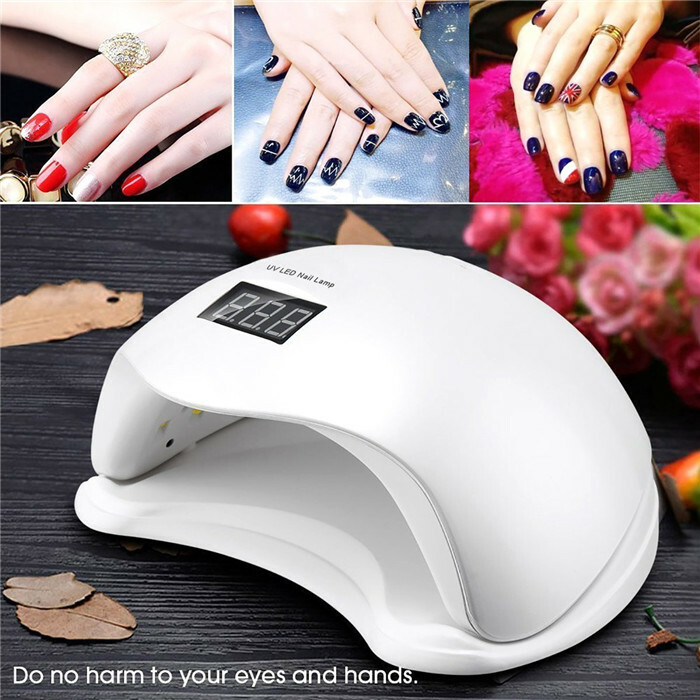 4 TIMER SETTINGS & HEAT DISSIPATION HOLE DESIGN: The UV LED nail dryer has 4 timer settings:10s, 30s, 60s and 99s. 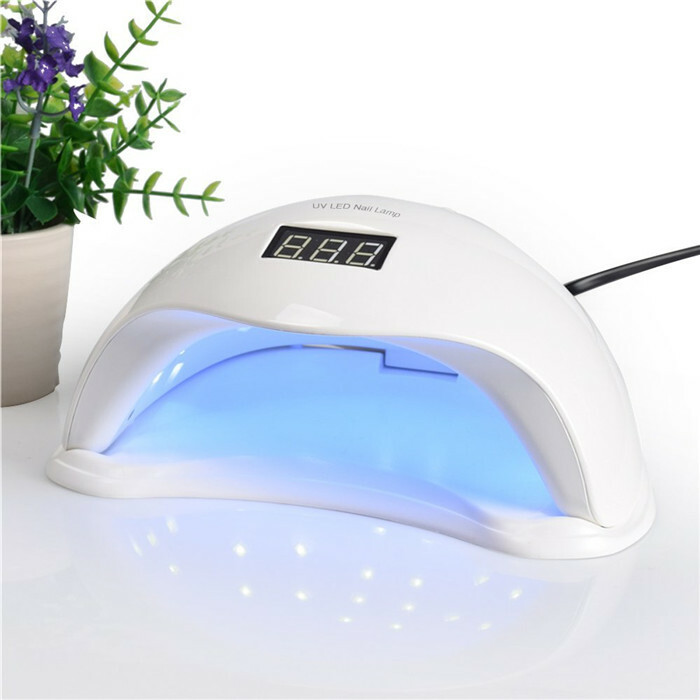 During the 99s temperature gradually increasing mode, power enhances gradually to resolve all pain problems caused by curing gels. Also, heat dissipation hole design can cool the machine continuously for 30 seconds, protecting the machine from overheated. 3. 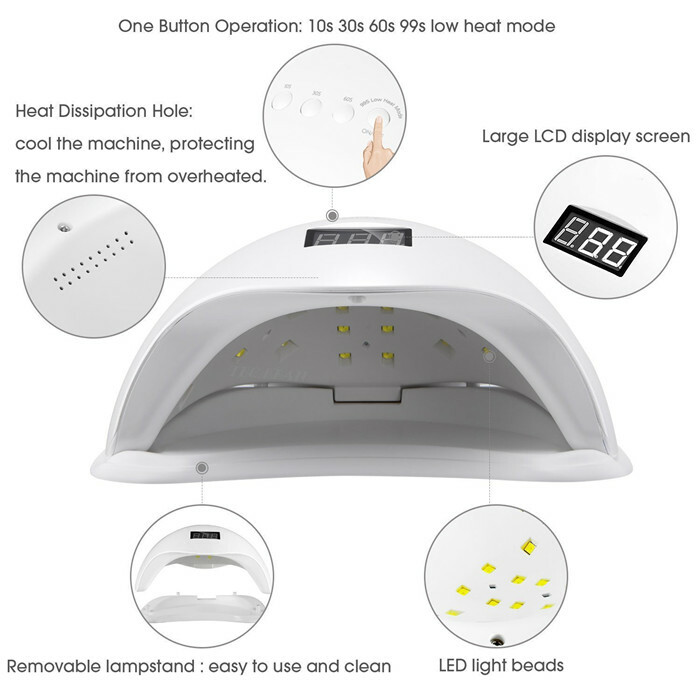 Auto-sensing:Hands in, led nail lamp on. 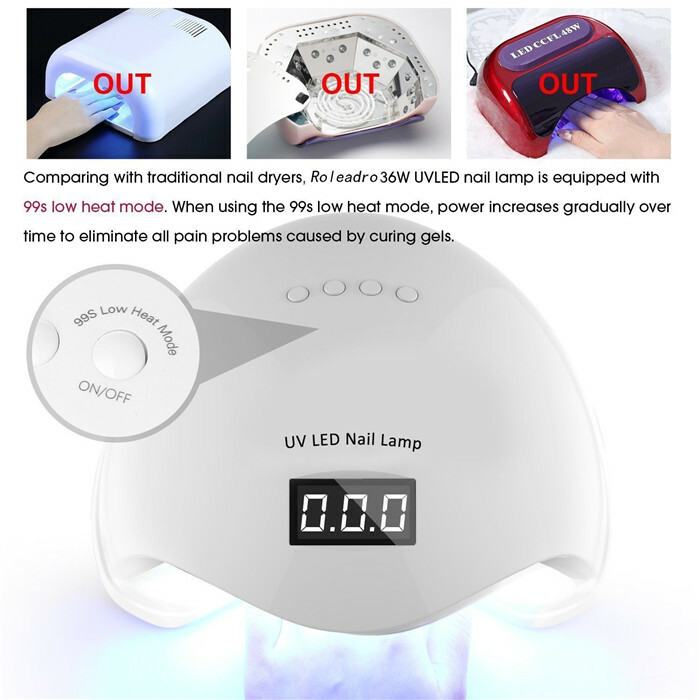 Hands out, led nail lamp off so drying nails are not accidentally smudged when setting up or operating the nail lights. 4. 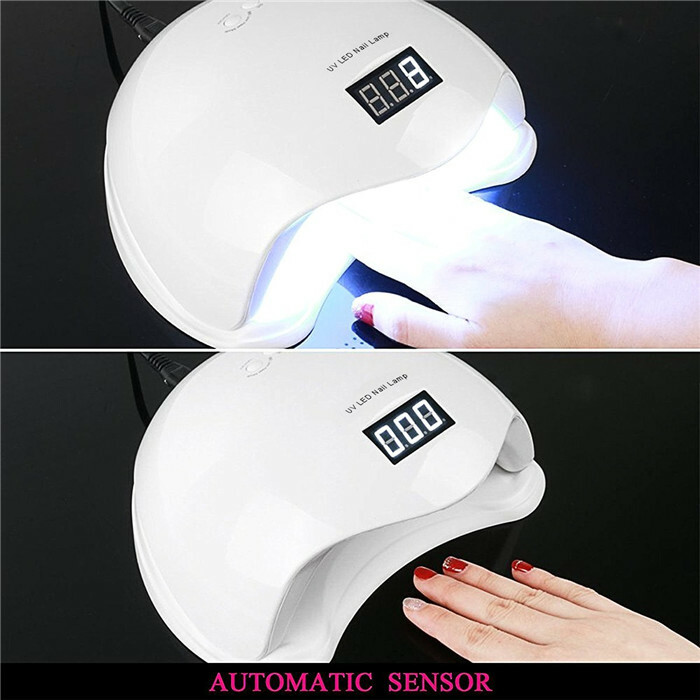 NO HARM: Comparing with ultraviolet light of traditional nail lamps, the light is closer to white light, which ensures the color of nail gel and does no harm to your eyes as well as protects your skin from being black.Fashionable and durable 50000hrs lifetime, ideal for both home and salon use. HIGH QUALITY ASSURANCE AND FULL WARRANTY: 30 days money back and 1 years warranty. 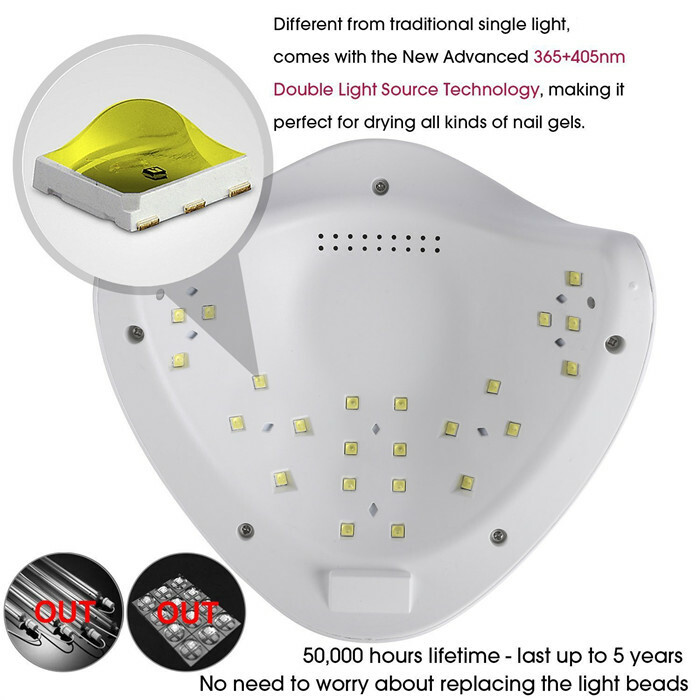 During warranty, if there is any product issues, we offer free replacement.Customer satisfaction is our first target.